This is the most basic of all social media branding elements. Before you can engage with customers on social media, you have to make sure your logo, promotional material, contact information, taglines, or mottos are all current and updated. They should also flow together. Make sure all your social media accounts have current contact information and everything matches up with what your website also says. If you’re going to brand yourself on social media, you need to know who your audience is. What appeals to them? Why are they online? What are they looking for on social media? Once you can answer these questions, you are ready to go and effectively brand yourself. Everything you do on social media should be relevant to your audience. 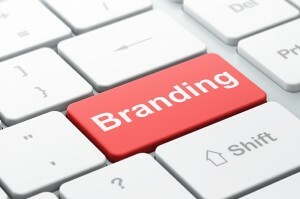 Branding on social media is most effective when you have a consistent and interesting voice. Whether you are on Twitter or Facebook, Pinterest or Google+, keep the same voice consistently. What kind of style are you going for? Is your brand professional or more casual? Your voice should always reflect who you are as a brand and be able to directly relate to who you audience is. Social media happens in real time. People like, comment, listen, share, tweet, pin or respond within seconds to something that is posted. Decide on a publishing schedule for all your social media accounts and stick to it. Keep an eye on your social media accounts and respond to clients or potential customers. Seek out engagement. And never ignore someone’s comment or question on any of your platforms. You can practice good customer service and consistent branding all at once. 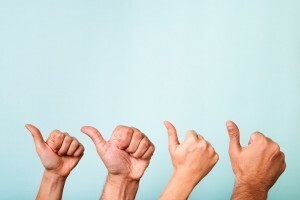 Though you may be representing your brand, social media always has the human element involved. You can represent your company and be human at the same time. Inject humor or wit into your social media branding, whether through a unique tagline or picture. No one likes to see a corporation without a human face attached to it. Through your branding on social media, you can be the voice and the face for your business in a very real and authentic way. This tip should go without saying. But we have to say it. You have to be original and unique on social media. This is part of your branding strategy. Don’t try to copy someone else even if you think they have the best idea ever. You won’t stand out if your brand is similar to someone else’s. What’s the unique angle of your company? Use that to help social media branding become more manageable and more effortless. Remember who your audience is? Well, what social media platforms do they prefer? Pay attention to the social media accounts you have and see which ones are doing well. Experiment with new platforms. Most customers have their favorite platform that they use the most, so you want to have a voice and a presence on that platform. If you follow our seven tips on social media branding, you will soon develop your own way of doing social media. Your brand is who you are, so stay consistent and have some fun. People are looking to connect with people, not a corporation. Social media is the perfect avenue for that as long as you communicate clearly and effectively through a consistent brand.